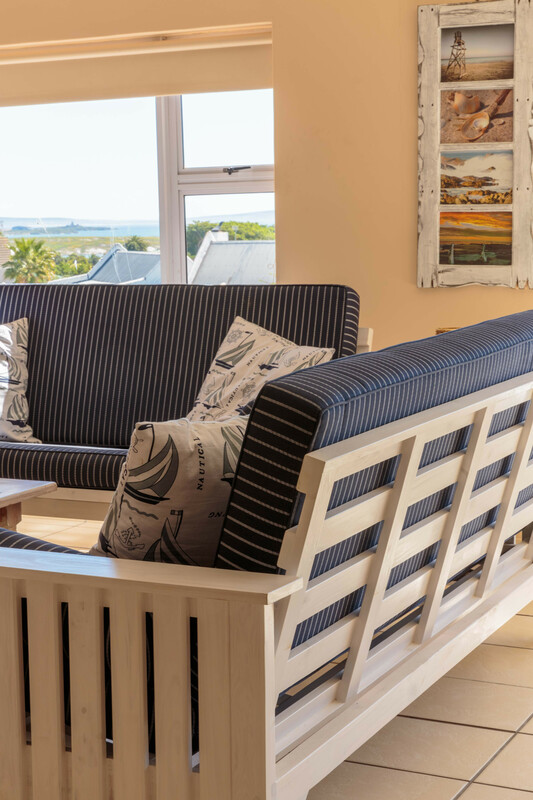 If you fancy watching the sunset from the living area of this welcoming West Coast property, or taking a leisurely walk down to the Yacht Club or Shark Bay to appreciate these beautiful unending views where surfing, angling, yachting, paragliding and kite surfing take place. This home is perfect for anyone. 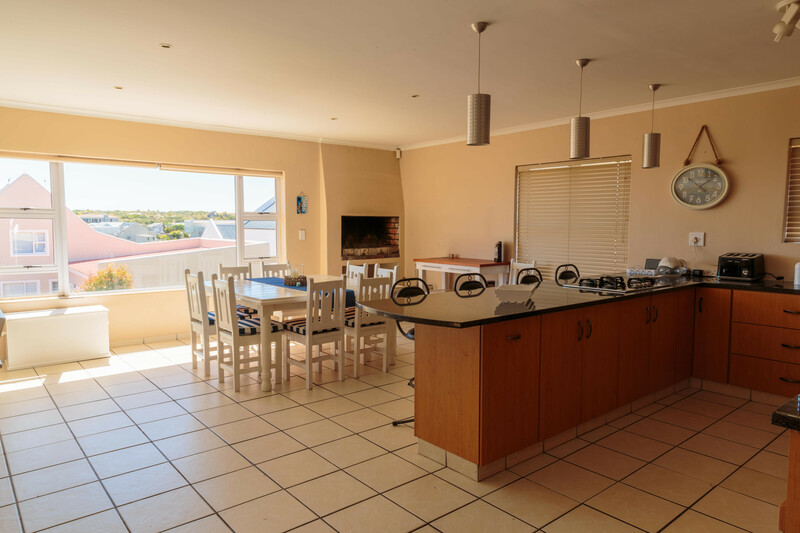 Serenity can accommodate 9 people in 3 bedrooms. 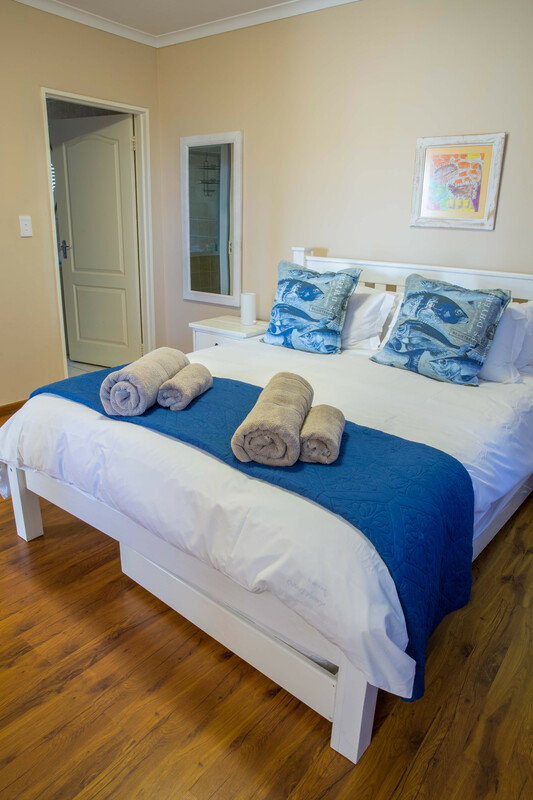 The main bedroom has a queen size bed and a child with en suite. 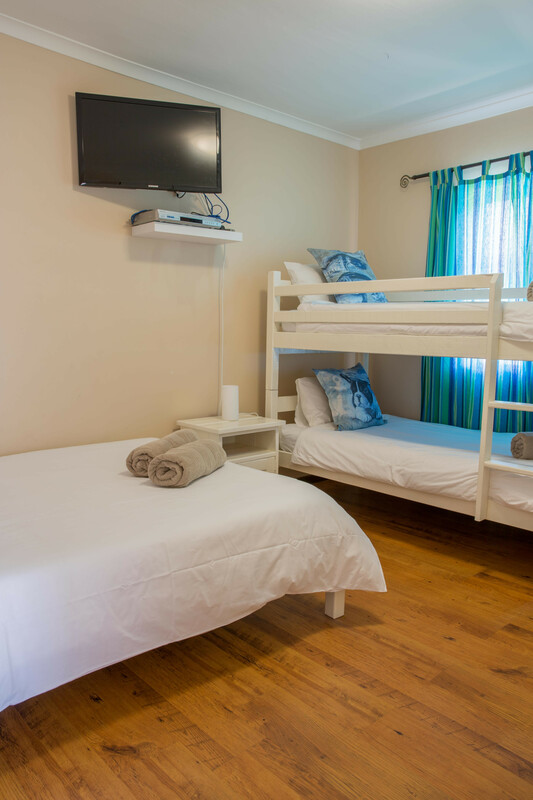 The second bedroom has a double bed and the third bedroom has a double bed and bunk bed. 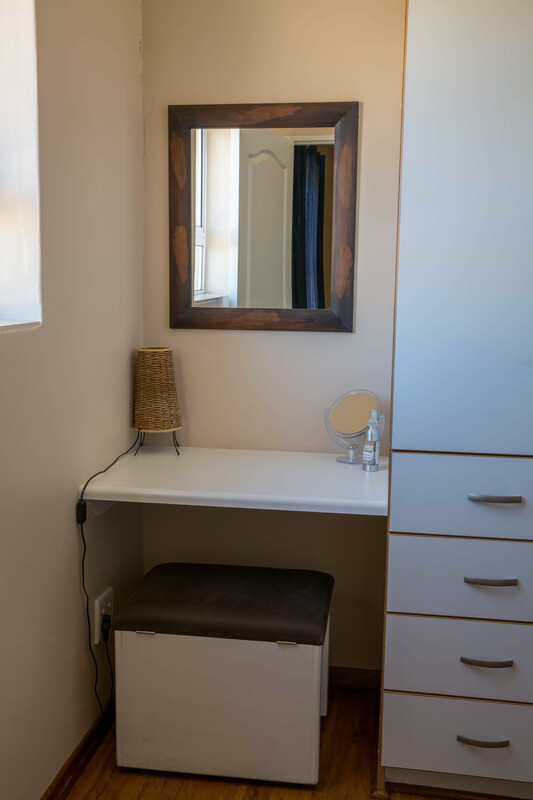 There is also a full bathroom. 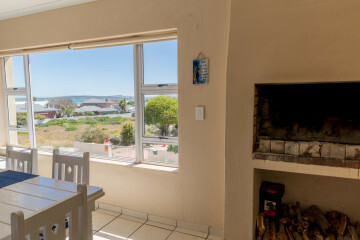 The kitchen is fully equipped for self-catering and features a stove, oven, fridge-freezer and microwave. There is a dishwasher, washing machine and tumble dryer provided for your convenience. 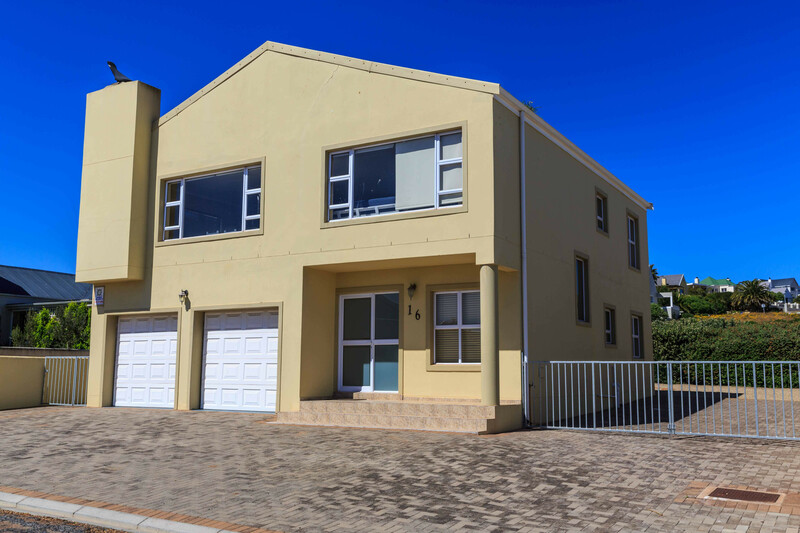 This house offers an ideal living area for family and friends; it consists of an open lounge, dining area, kitchen and indoor braai. 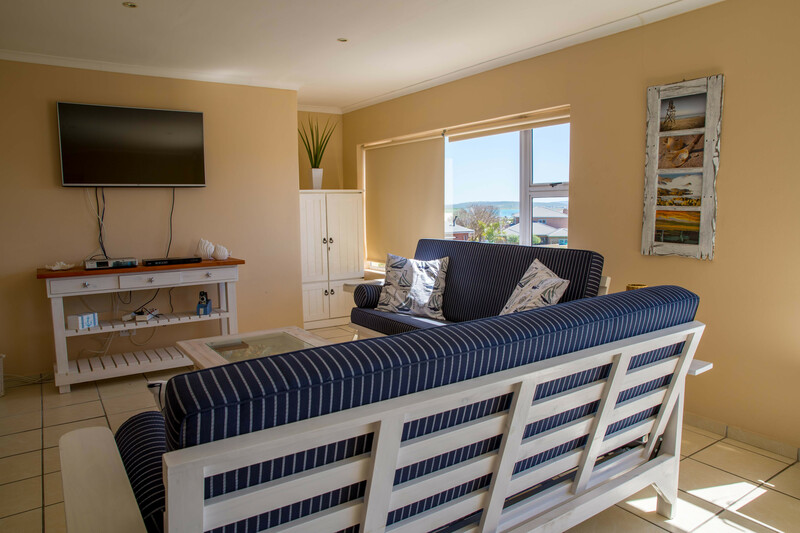 It is guaranteed that the tranquil seaside atmosphere will ensure that guests have a pleasant stay.